Former Mission Police Department Lieutenant and volunteer firefighter Connie Garza is seen Tuesday, March 27, 2018, in McAllen. 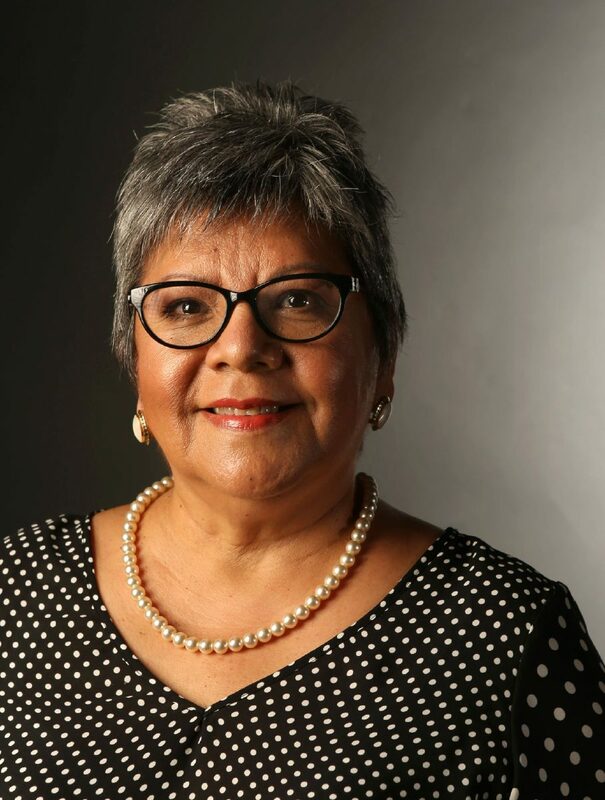 A part-time job as a high school student birthed what was to become a nearly four-decade career of many firsts for Connie Garza. In the 1970s, Garza, 62, became the Mission Police Department’s first female patrol officer and rose in ranks to become a sergeant. Pharmacy was initially what she intended to pursue, but working the summer before her senior year at the police department led her to accept her calling. Throughout her career she has helped establish local community resources. In 2016 she was recognized as “first lady” of Mission due to her contributions. While with the Mission PD, she created the Explorers program to provide individuals interested in criminal justice with exposure to the field. Volunteering is important, she urged, as it helps the individual determine their interest while contributing to the greater good of the community. “You want a career you can be passionate about and do all your life,” said Garza. Evidently she has achieved just that, admitting her 38 years in criminal justice seem to have zoomed by. As the first female patrol officer, Garza pushed herself to succeed. “I felt a sense of responsibility. … I wanted to be an instrument to be able to help other women,” she said. For the most part, she found the community welcoming. Occasionally, however, she dealt with hesitation from people in accepting her authority. Still, Garza felt secure in being “able to carry the weight and do the job,” and has always pursued her interests, conventional or otherwise. Officer, sergeant, volunteer firefighter and assistant director are just a sample of the titles she has held, and each new experience has brought a life lesson. From working in enforcement, Garza moved to rehabilitation and spent time as an assistant director in a residential halfway house. With no starting budget, but plenty of savvy, she helped establish a GED program to aid individuals in reshaping their life. A transformation in the criminal justice system, she’s been happy to witness is the introduction of specialty, problem-solving courts. Since retiring in 2012 she has maintained a hunger for knowledge and willingness to embrace change. Theater is another interest outside the crime field Garza pursues and has crossed marks off her dream list by taking acting, voice and music lessons. “I’m always in a learning mode,” she said. With her church she began “Platicas Comunitarias,” sessions in which presenters are invited to address “issues of interest” to the Spanish-speaking public. She remains inspired to continue serving her community by abiding a philosophy.